Discover the variety of remote controls for RC cars and find the right design tailored to your requirements. Our range of computer remote controls for RC cars goes far beyond the classic 4 channel transmitter. You can choose between sets with receiver or without receiver, remote controls with up to 40 model memories, or strictly limited high-quality pistol transmitter editions with chrome-plated housing. 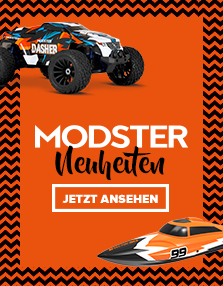 Buy in the Modellsport Schweighofer online shop for remote controls everything you need to control your RC cars. From RC systems to our specially designed pistol transmitters with 2.4 GHz. 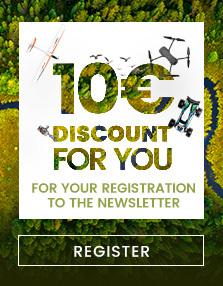 Of course, in this area, we have all brands and manufacturers that stand for quality and top performance among the remote controls: Spektrum, Futaba, Graupner and many more providers of pistol transmitters and RC systems are joining us to a unique range of remote controls at great prices. Control your car model with our remote controls for RC cars.